I love Air Awakens! It's Phantom of the Opera meets Cinderella in a wonderfully crafted world created by debut author Elise Kova. Vhalla is a strong, relatable heroine, and the love story is beautiful, slow build that readers will root for. I also loved seeing Vhalla go from an everyday library apprentice to discovering that she's a powerful sorcerer. Elise Kova also writes incredibly detailed action scenes that will leave you turning the pages needing to know what happens next. I can't wait to see what happens in the rest of the series! 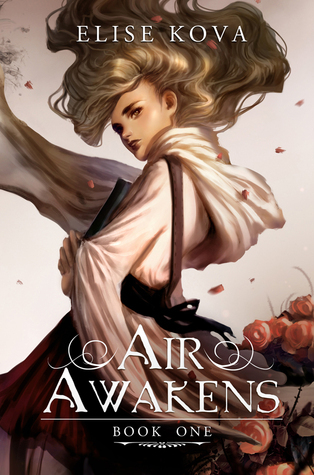 Sign into Goodreads to see if any of your friends have read Air Awakens.